Project managers should get a PMP certification to take their career to the next level. Getting PMP certified also leads to higher salaries and opens new opportunities to work on more projects globally. It also improves a person’s project management skills, and it proves to employers that a project manager can handle any challenges. PMP certification in Mumbai gives certification globally to intensify the profession of a person. 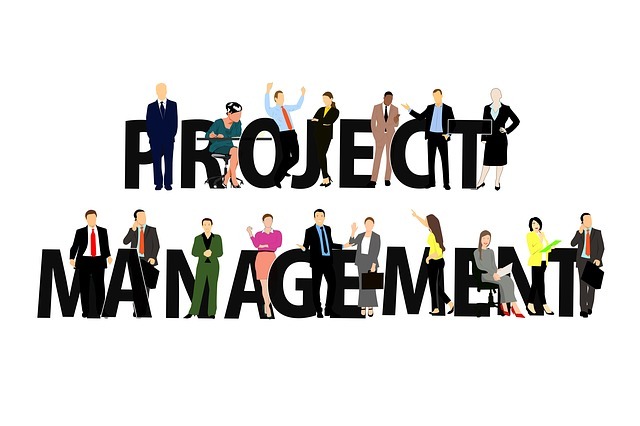 A PMP certification is a globally recognized proof to show that a project manager has experience and skill set to manage a project within the budget and deadline successfully. A PMP certified project manager goes through rigorous training and must pass a PMP exam. PMP certification is for Associate Project Managers, Project Managers, Project Analysts, Team Leaders, Program Managers, Project Coordinators, Project Leaders, Project Sponsors, Product Managers and any Project team member who needs a PMP certification. You will get to study the Project Management Professional (PMP) Credentials Handbook which will equip you with the knowledge you need to complete the PMP exam. PMP training fulfills the minimum PMP certification minimum requirement of 35 PDU to be allowed to sit for the PMP exams. You will also get a chance to become a member of the local Project Management Institute (PMI) Chapter at a fee of $139. As a member, you will enjoy benefits such as discounted exam fees where you will pay $405 instead of $555 and also get a free copy of the PMBOK Guide. Booking a PMP exam is a hectic and complicated process. Avoid the hassle of booking the PMP exam when you join a PMP certification training as the process will be completed for you. They will submit your application through the Prometric process and also choose an exam center for you. You will get sample papers to prepare you for the PMP exams. In total, you will get 6 full-length mock exams that will give you adequate practice to tackle and succeed in PMP exams. Overall, you will get 35 hours of classroom training and free 180 days of E-learning access and instructor-led training. You will study the terminologies and concept of Project Management and learn how to apply them practically. You acquire the top standards required to complete a project successfully anywhere in the world. You can take up new challenges and overcome them with practical solutions. The solutions will reduce risks, meet the required goals, be compliant and work within the budget. Understand how to communicate with stakeholders and also how to manage a team smoothly. Learn how to complete a project within the budget and the timeframe set. You will become a better leader who knows how to motivate and lead a team for maximum productivity. You will be eligible to register and undertake the PMP certification and have higher chances of passing the exams. The PMBOK covers ten knowledge Areas & Area of Professional, Five Process Groups and Social Responsibilities. To be accepted at PMP certification you should have a Secondary Degree which can be a High School Diploma, or Associate’s Degree or a global equivalent of the same. Further to that, you should at least 5 years/ 60 months experience in Project Management with 7,500 hours heading projects and 35 hours of classroom training. The second option is a 4-year degree, Bachelor or Global equivalent with a minimum of 36 hours of Project Management experience. Also 4,500 hours of heading and directing projects and 35 hours of classroom training. Become an internationally recognized Project Manager who can work on diverse projects with success. Get more employment opportunities because now you can work anywhere globally. Get more salary as compared with other projects managers who are not PMP certified. Get satisfaction from completing projects smoothly and build a reputation from your work.